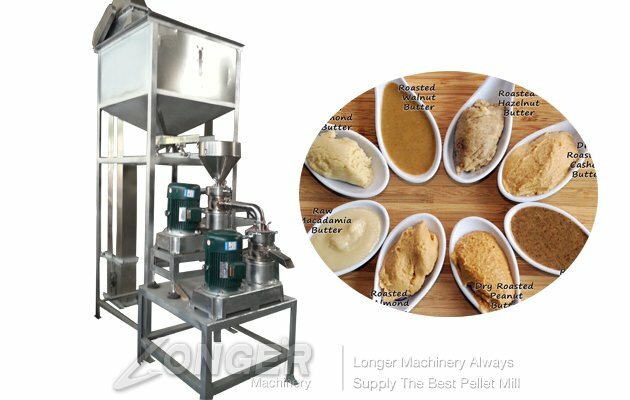 The main machines of sesame butter tahini production line such as elevator,roasting machine,grinding machine ect.High output, advanced product design and technology, stable and reliable, mass production can improve labor productivity, stability and improve product quality, improve labor condition, reduce production area, reduce the production cost, shorten production cycle, guarantee the production balance, significant economic benefits. 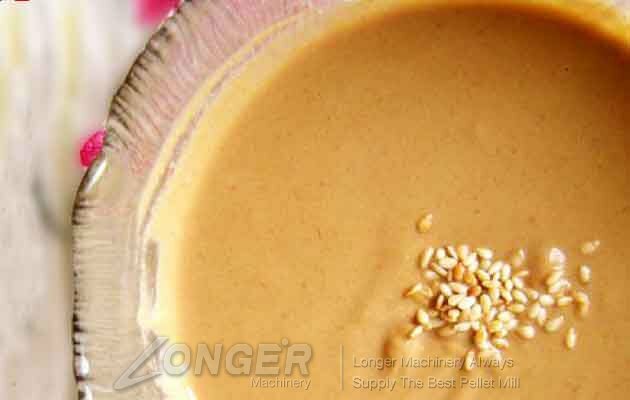 Automatic elevator of sesame butter making machine : This machine has a drainage pipe. 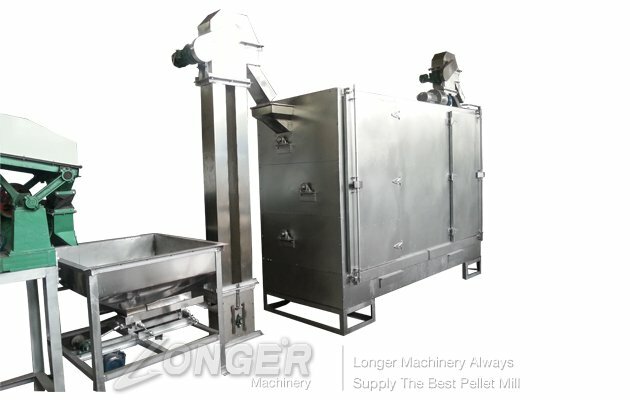 For the height and distance of the hopper, we will customize it according to the size of the machine it is fed. If the distance is far away, the direction can be changed by disassembly and reinstallation. But for short distance, there are wheels on the machine. It can move the whole machine to change the direction of feeding. It is made of 201 stainless steel with short distance and speed up to 1.5-2t / h, about 100kg / 3-4mins. 2. Roasting machine of sesame tahini production line : the contact part of the shell and the food is 201 stainless steel. If you need 304 or other, please tell us that we will customize it for you. There are 2 flue gas holes in the top of the roast machine, and the machine loading part can also discharge the flue gas. For the first time to clean, you can spin a cheap grain like a cone to clean it. There is a residue collector on the machine. You only need to clean them on a regular basis. The machine has a timer, a temperature indicator and a temperature controller, which can set the baking time and temperature on the machine. When the temperature reaches the set value, the heating will stop. When it is low, it will start heating. Coolers syrtem of sesame butter process machinery: all of these machines are 380V / 50Hz / 3Ph and can be customized according to your power. The mesh size of sesame is 1.2mm. 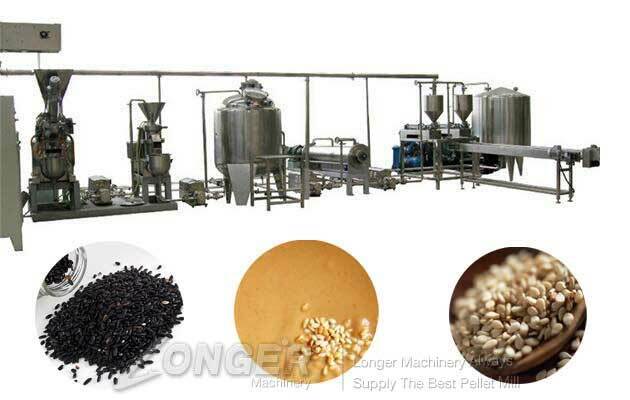 Sesame Butter Grinding Machine of Butter production line : the pepper pot and the receiving pot will be stainless steel. Grinding machine for $3000, which includes grinding machine, box and elevator hopper. The hopper can be loaded at least 100kg.